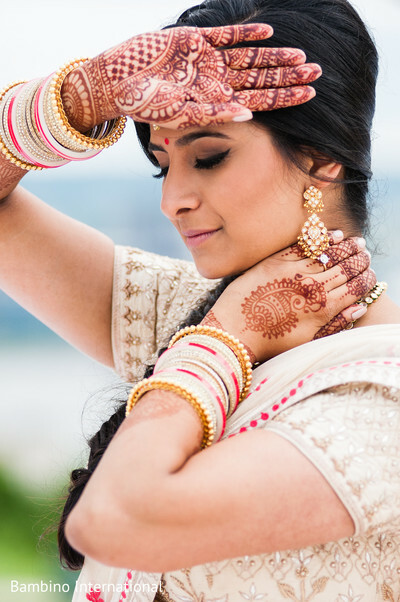 Today’s featured wedding is brimming with tons of joy and style and as you peruse through these sensational photos of Anisha and Ashwin’s wedding soiree, we’re sure you’ll agree. 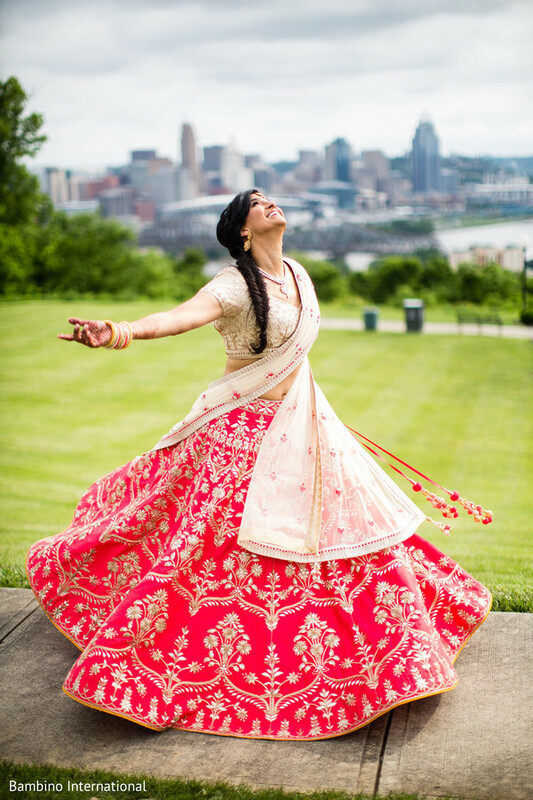 After a colorful sangeet celebration at a super creative venue (The Great American Ball Park! 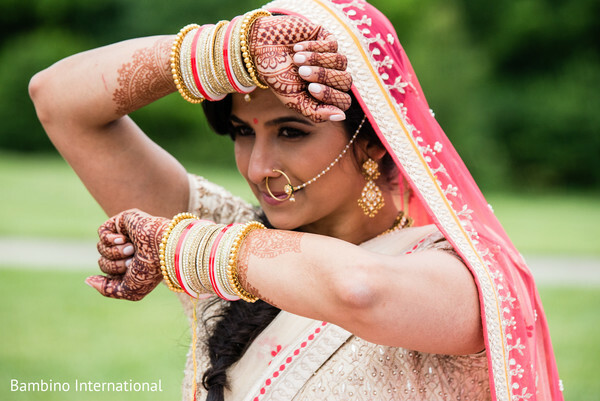 ), it was time for the bride to slip into her wedding lehenga designed by Anita Dongre. 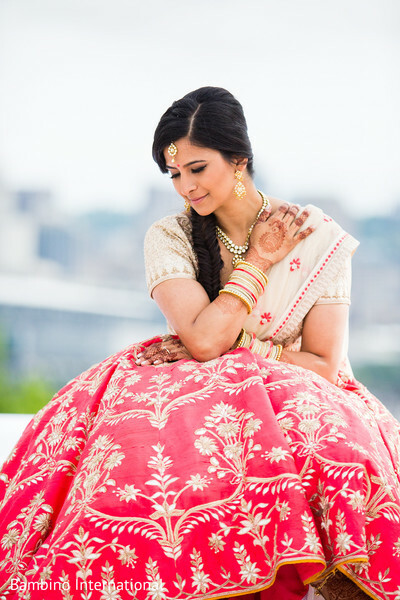 Anisha opted for a beige, gold, and red color combination that was both serene and sophisticated. 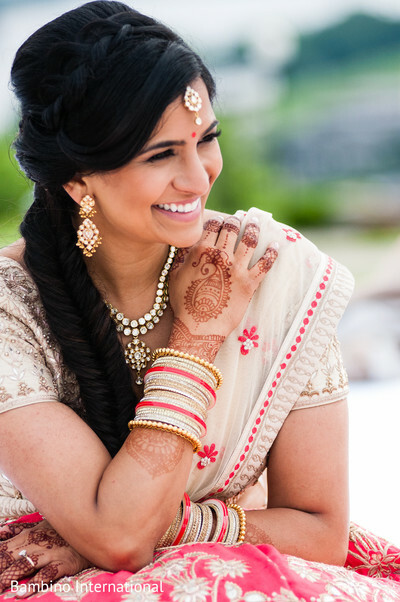 With dewy skin and kajal lined eyes, she was a total stunner. 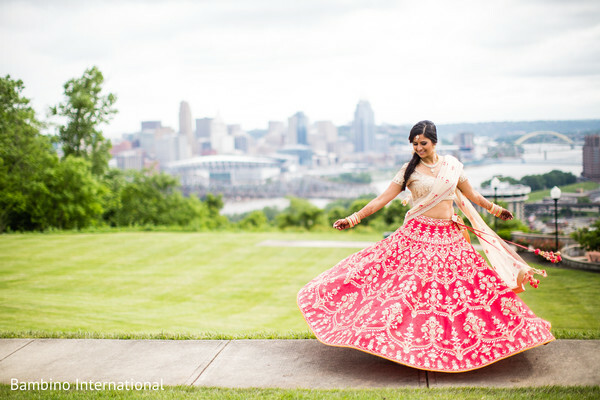 The hilltop photos of Anisha twirling in her fairytale lehenga while overlooking the Cincinnati skyscape are positively breathtaking! 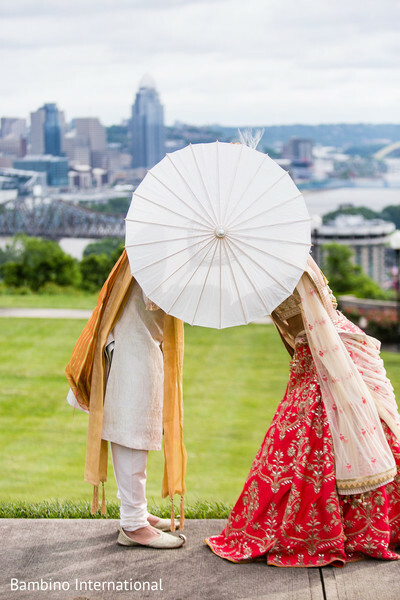 The bride and groom opted for a romantic first look before their ceremony at Drees Pavilion at Devou Park. So sweet! And you know that when A Bride's Mafia and Glendale Florist shows up to your event, you are in for a beautiful wedding celebration. 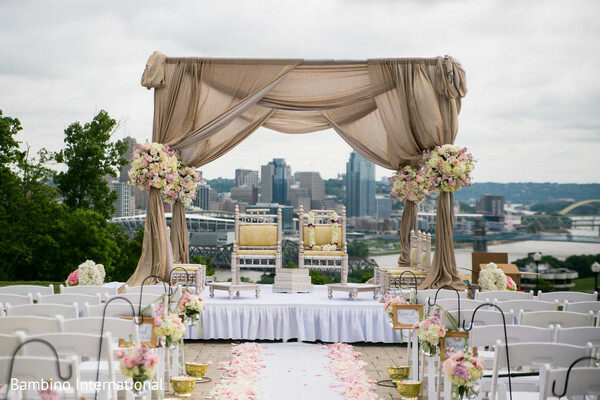 The outdoor space was decorated with romantic luxury in mind. 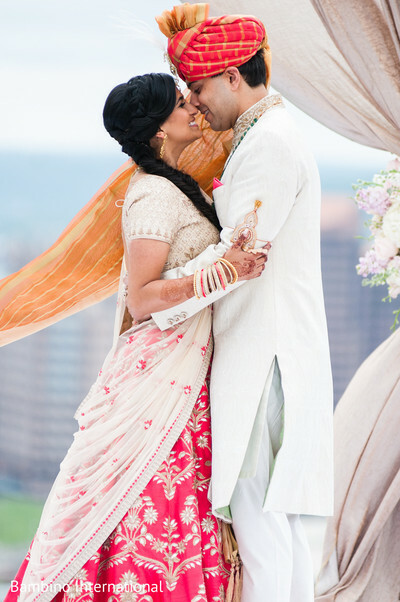 A mandap draped in chic beige hues, scattered rose petals, and fresh blooms lining the walkway was a sheer delight. 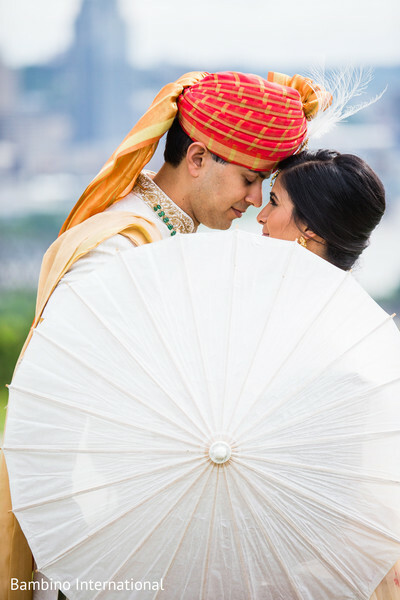 All the photos from this wedding can be found in the full gallery that has been captured lovingly by Bambino International When we return, we’ll dive into all the ceremony and reception deets, featuring entertainment and lighting by the talented DJ Ice & Fresh Productions! Lovely! 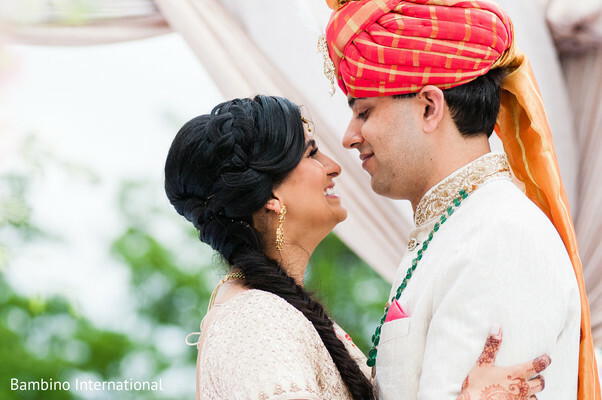 Ceremony deets coming right up! DJ Ice & Fresh Productions is a member of the Platinum Guide. Love what you see? Explore their portfolios.